I walked around the school with Mrs. Brito and some of her students. 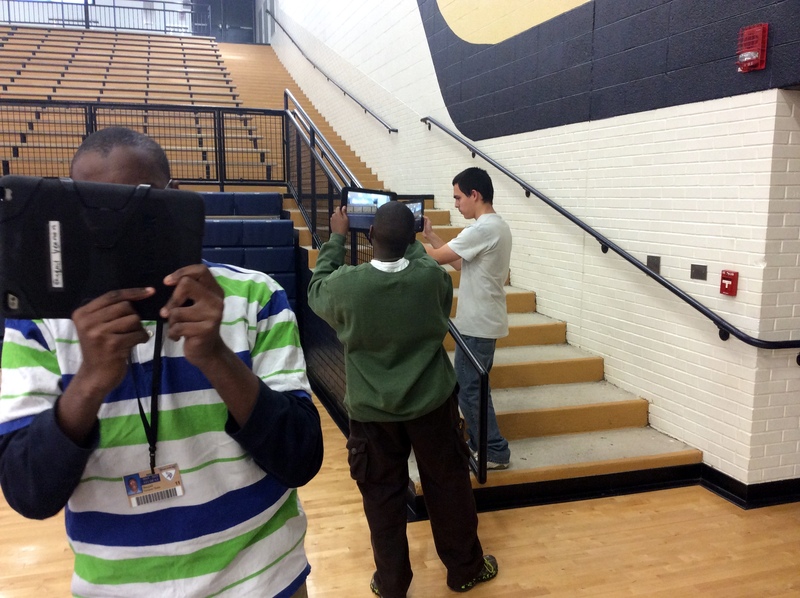 We stopped in different areas of the school so each student could take photos with an iPad. Next week, they will finish by taking photos of the library and start putting their photos in order and make a story by using the Our Story app. The students already created books using construction paper and markers so this will be a continuation of how to create a narrative.